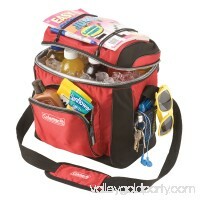 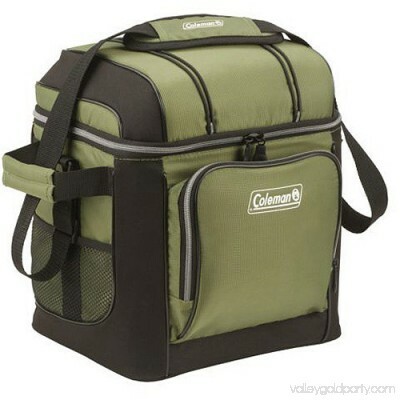 Keeping drinks and snacks chilled on the go is no bother with the Coleman 30-Can Soft Cooler with Removable Liner. 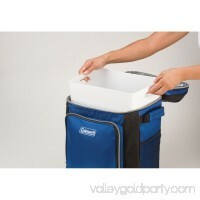 A removable liner fits inside the zippered main compartment and comes in handy if youre chilling your items with ice. 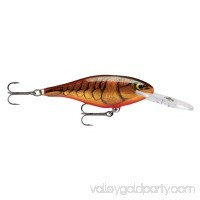 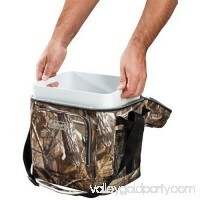 At the end of the day, simply take the liner out to dump any ice melt. 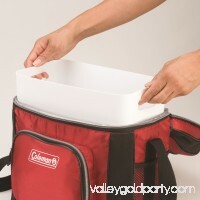 You can also keep items cool with ice substitutes, in which case, using the liner is optional. 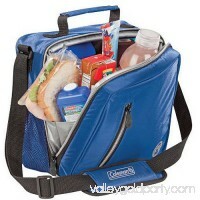 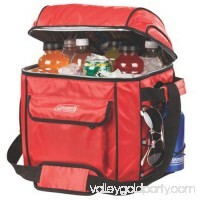 This cooler also has a zippered front pocket, 2 side mesh pockets, a dry storage pouch, and lid bungees so you can store snacks that dont need to be chilled within easy reach. 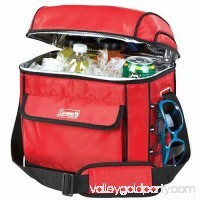 No matter where youre headed, an adjustable shoulder strap allows for comfortable hands-free carrying, and side handles give you more control when the cooler is fully loaded. 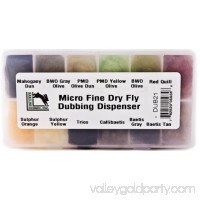 Once you're back home, the antimicrobial-treated flexible liner resists odor, mold, mildew, and fungus from forming, making it easy to clean between each adventure. 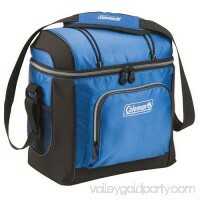 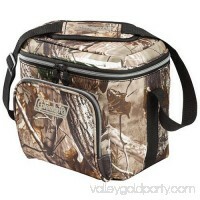 This Coleman 30-Can Soft Cooler with Liner features a removable hard plastic liner for carrying flexibility.